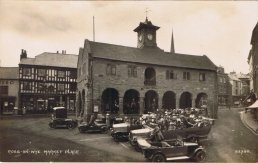 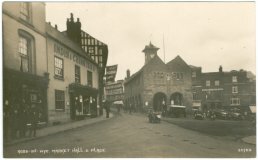 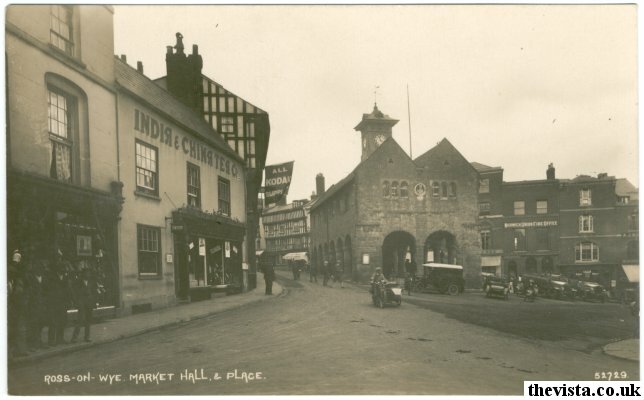 A postcard view of the Market House and Market Place. On the far right you can just see A. J. Kiddle and two tour buses that were based in Ross. 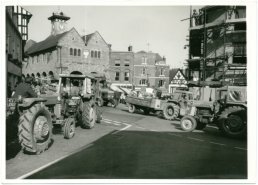 On the 19th September 1974, at 11am, local farmers converged on the cross, along with similar displays in all across the EEC. 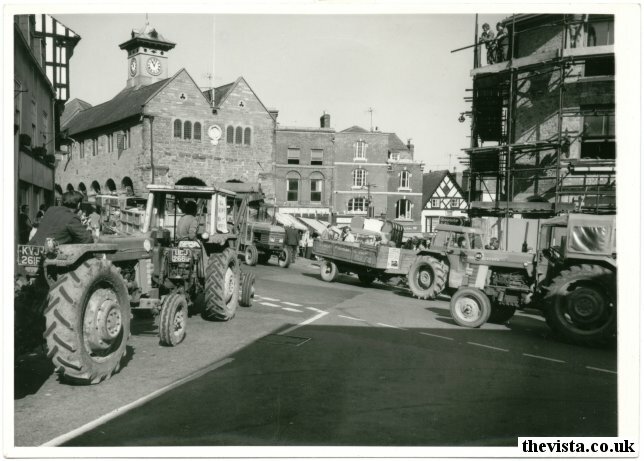 They did this to draw attention to the very poor state of the farming industry. 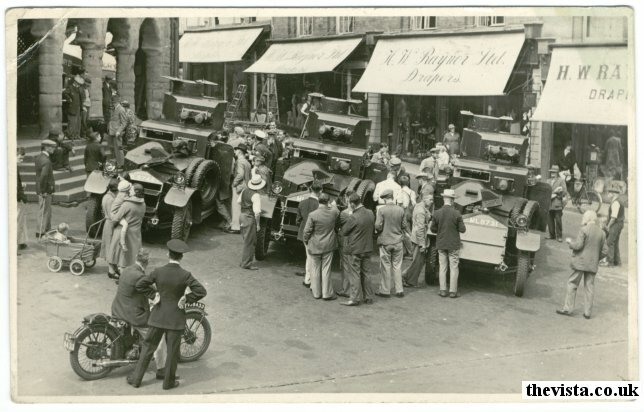 Here we see a postcard (unknown publisher) of armoured cars in the Market Place. 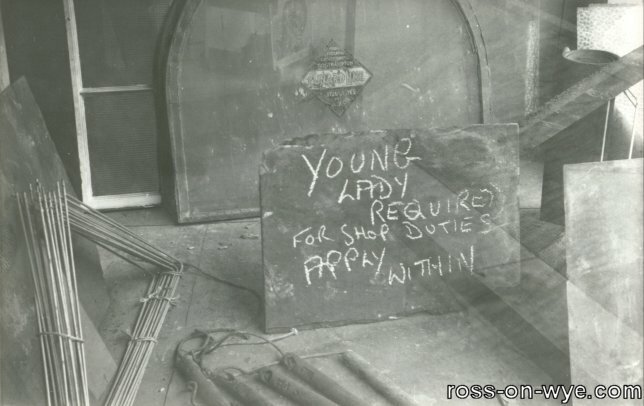 Presumably this was and part of a recruitment drive and looks to have been around the 1930's. 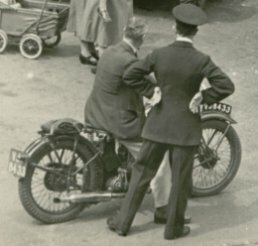 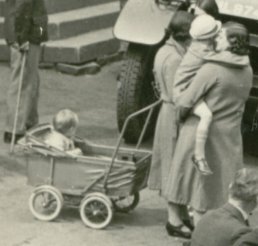 This card has a great shot of an old pram and a motorbike which can be seen in more detail below. 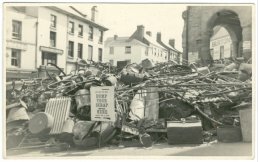 This is a postcard view (unknown publisher) of Scrap Week in Ross (between 19th and 24th August). 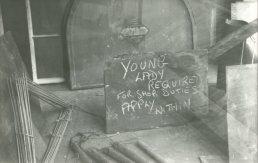 This was needed to help the war effort. 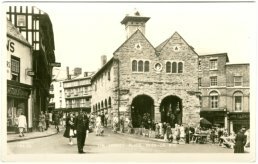 Here a busy market is in progress and the policeman was, as usual, stood in the middle of the cross directing traffic. In this real photo postcard view of the Market Place there are three charabancs, full of people, and the nearest driver or navigator is just climbing into the front of the vehicle. 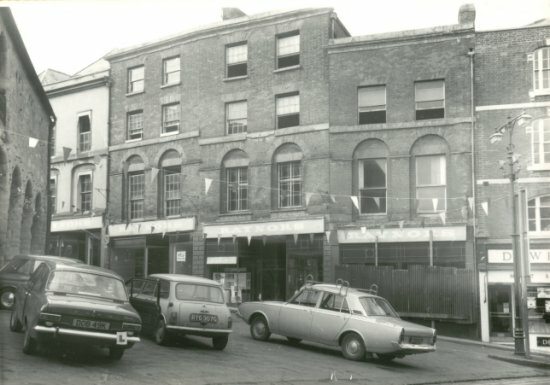 There are also several parked cars around the charabancs. 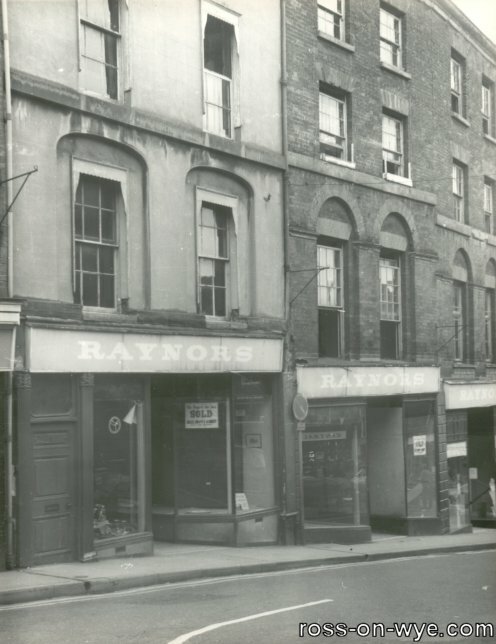 Raynors was a department store that used to be in Ross. The building stood where Boots is now on the west side of the Market Place. 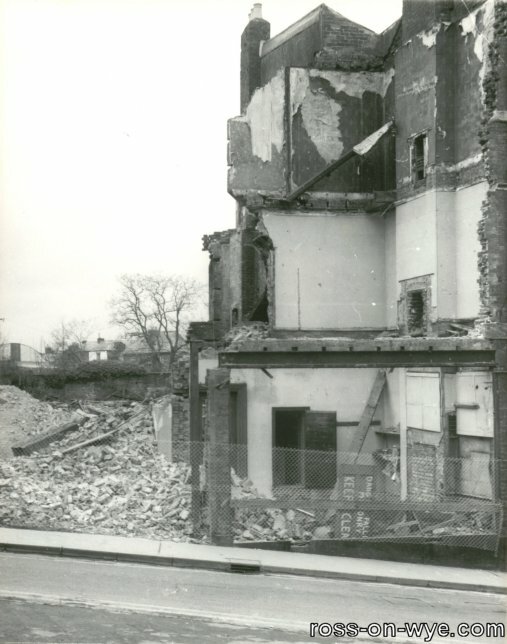 The following photos show the area prior and during the demolition of the store. 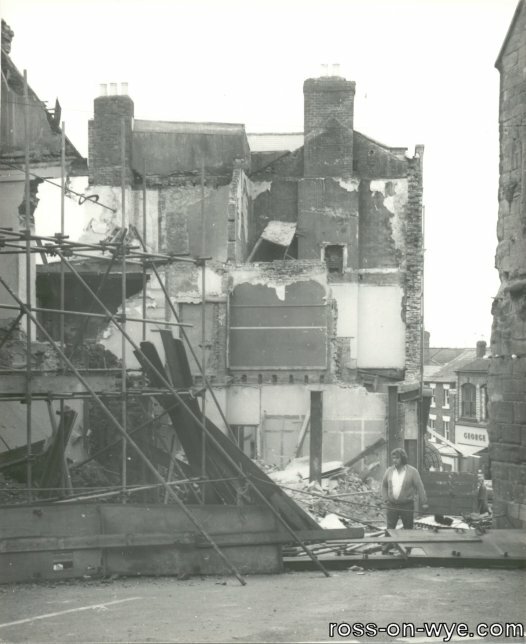 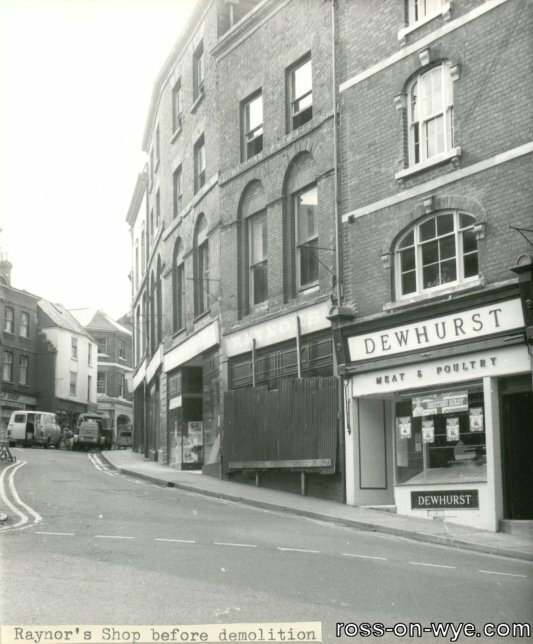 The photos above show the frontage of Raynors and Dewhursts the butchers next door, which was not demolished, prior to the demolishion of the Raynors building from several angles. 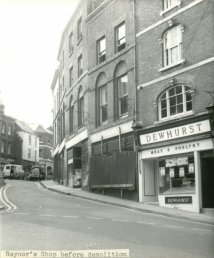 The photo to the right shows some of the item left in the window after the shop closed. The frontage of the building that replaced the Raynors one was designed to look similar to the original one. 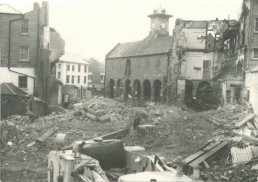 The photo to the left is the view from Pigs Alley across the site where the building stood looking at the Market Place and the Market House. The photos below show several view of the remains of the buildings either beside or on the site.